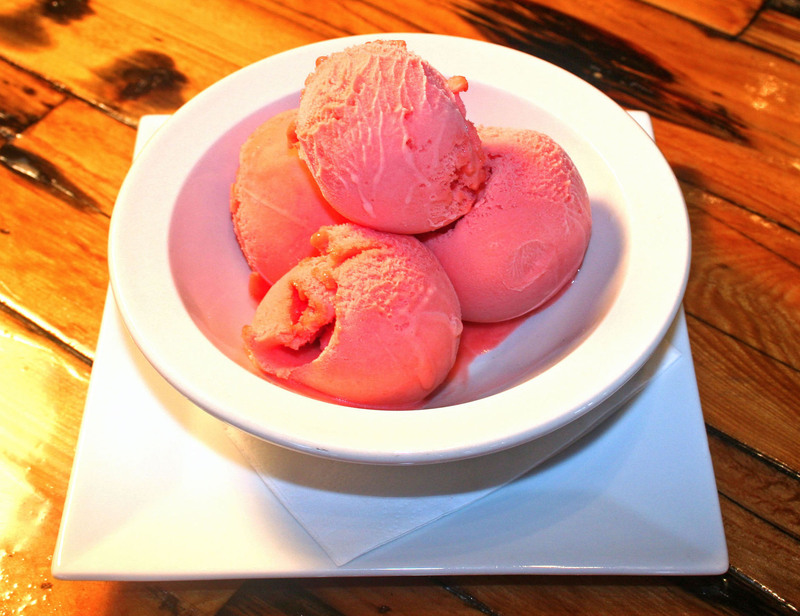 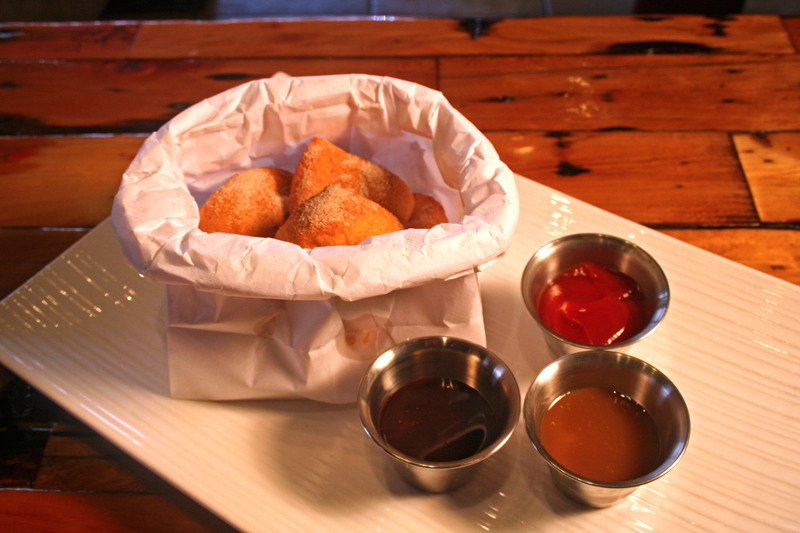 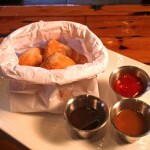 A light fried dough, tossed in cinnamon and sugar served with dark chocolate, raspberry, and caramel dipping sauces. 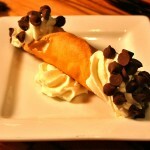 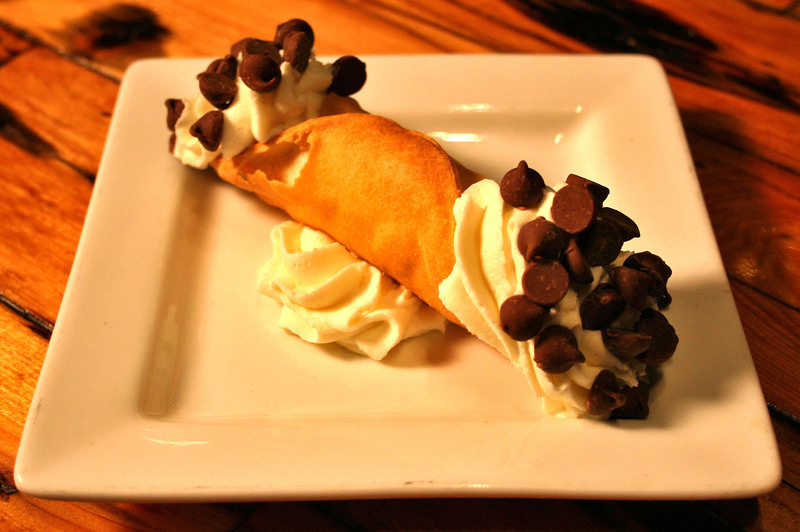 Cannoli shell filled with our signature house filling topped with callebaut dark chocolate chips. 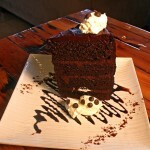 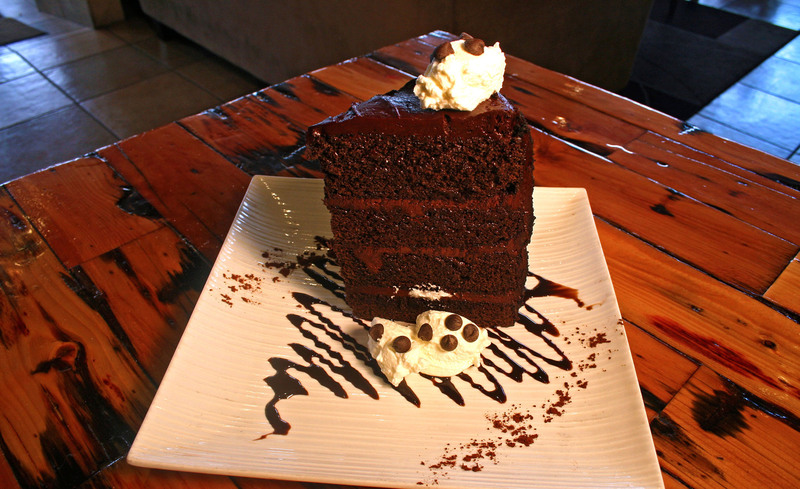 A towering piece of chocolate cake layered with chocolate mouse and topped with homemade vanilla whipped cream.